Earlier this evening I was proud to be at Wallasey Town Hall to hear Cllr Jeff Green, Conservative Leader of the Council deliver a budget that protects jobs, Cuts Council Tax by 3% and extends the discount scheme to households who are aged 70 (previously 75), puts money into Children’s Services, protects and increases funding to Wirral Sure Start Centres (Sure start is safe with Tories) Apprentices, job creation, dog fouling team and reverses Labours cuts to Adult Social Services and puts in a further £3 million. You can Read the full Conservative Budget proposal by clicking HERE Great work team, showing that Conservative Led Councils really care about the people they are elected to serve and delivering the best value for money services. Earlier today, along with my colleagues Cllr Steve Williams and Cllr Simon Mountney I went along to the Valentines Day Community event which I organised with Wirral Partnership Homes (WPH). 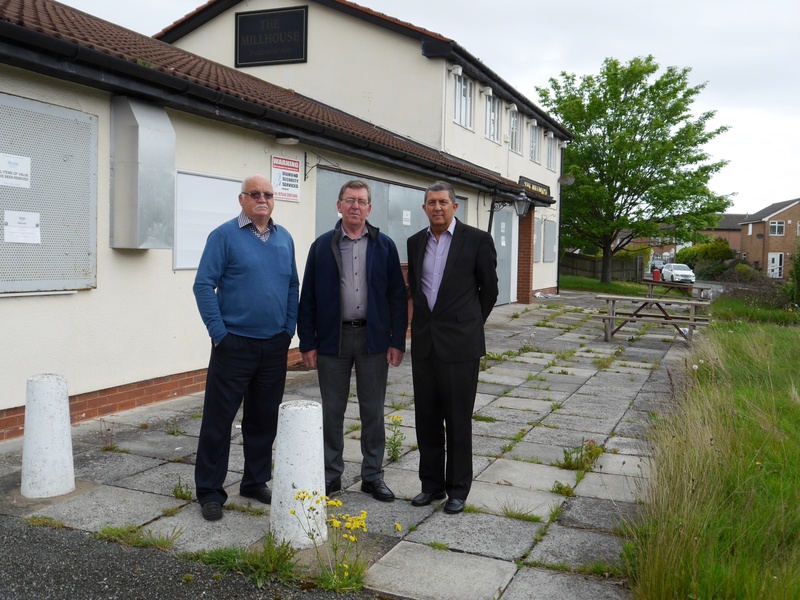 The event was to celebrate the start of the long awaited demolition and redevelopment of the eyesore shops and maisonettes on Town Meadow Lane. I have been campaigning for this day for 12 years and it was a very proud moment for me to see that campaign, with the total support of the local community, come to fruition. It was a great couple of hours with music by Seven Waves Radio, fish and chips supplied by Sid from the Town Meadow Supper Bar, Cakes supplied by Debbie the Hairdresser and soft drinks supplied by Bhullars General Store, there was a bouncey castle, face painting, ballons and much much more. I was absolutely delighted to be asked to perform the official ceremony, and instead of turning the first sod, I ‘Cut the Cake’ with WPH Chief Exec Brian Simpson. 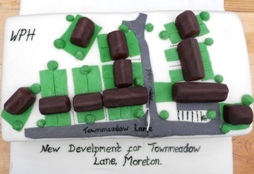 The cake, baked and decorated by Debbie was designed to look like a replica of the development, really clever. 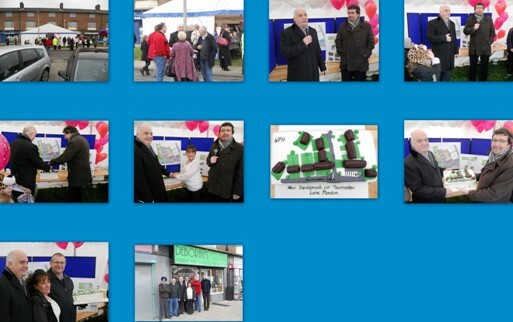 Well over 200 local residents, adults and children came along to celebrate the end of a long campaign. 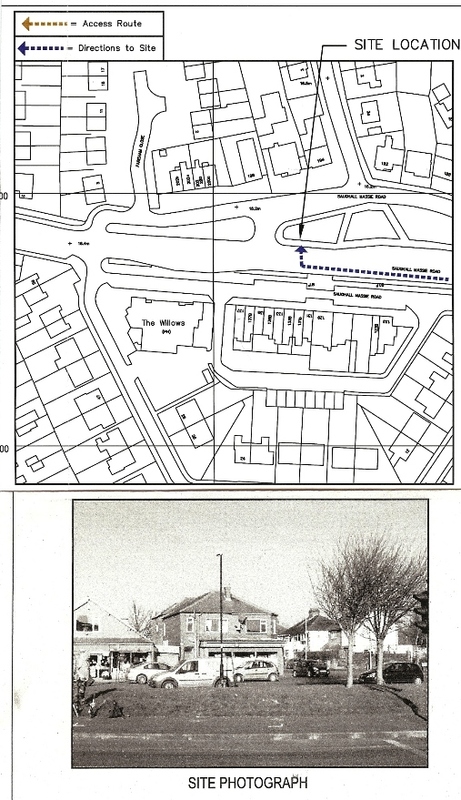 Wates the developer is on site to start work in earnest on Monday 20th Feb and the whole project to demolish the site, provide three new shops and 24 new dwellings is expected to take around 18 months to complete. Huge thank you’s to Sid, Debbie, Mr Bhullar, Seven Waves Radio, officers and the Board of WPH and most of all to the community who have been with me every step of the way. Today is a testament to your perseverence, and together we have made this possible. I had already made it abundantly clear that I and the Conservative Group on Merseytravel thought that any increase in allowances was unacceptable, however the recommendations made by Mr Hall were huge and in my opinion totally out of kilter with the current situation many people find themselves in. I am delighted that following pressure from the Conservative and the Lib Dem Members on Merseytravel, Labour caved in and voted not to accept the increases. This has saved the hard pressed council taxpayer circa £82,000 per year. Sadly whilst turning down the increase they chose to personally attack me, obviously looking at some way of venting their anger. My answer is simple ‘If you can’t stand the heat, get out of the kitchen’ Don’t worry Joe I am thick skinned enough not to worry about any lectures by any of your members, all they did was show their true colours! Quite sad really, I have lost a lot of respect for one Labour member in particular, they really should know better!!! Merseytravel Allowances, HUGE Increases Recommended! Today I received a copy of the report commissioned by Merseytravel into the Members allowance scheme! The report, compiled by Declan Hall recommends huge and what I believe to be obscene increases in both basic and Special Responsibility allowances (SRAs) and if approved by the Authority will send completely the wrong message to the workforce many of whom are having to take pay cuts as a result of harmonisation. When I met with Declan Hall I made it very plain that it did not matter how he cut cut the cake, there should be no overall increase in the amounts paid in total. His recommendations clearly don’t relate to that at all! I sincerely hope (and this is for you Joe) that the controlling Labour Group at the budget meeting of the Authority join me in saying thank you to Mr Hall for his work but ma,king it very clear that no one on the authority will take a penny more than they receive now!